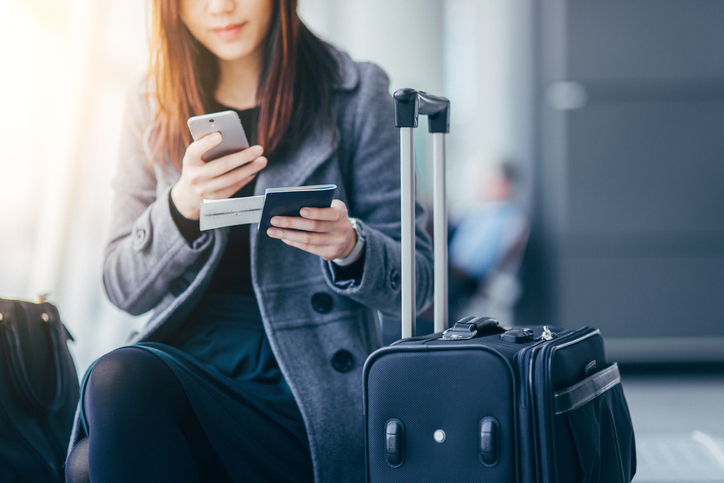 While you might not think twice about getting rid of your boarding pass after your next flight, keeping that piece of paper can be the key to savings. A few airlines offer savings on tourist attractions, restaurants, airport transfers, and free wine tasting to people who keep their boarding pass. Travelers who keep their Singapore Airlines or SilkAir boarding pass can get discounts on hotels, car rentals, restaurants, boutiques, and shopping malls in Singapore and overseas locations like Hong Kong, Australia, and the Maldives within a month of their date of travel. The deals typically include discounts to attractions like the Jurong Bird Park, which is home to 400 species of birds (and 5,000 in total). Loyalty program PPS Club and frequent flyer program KrisFlyer members can take advantage of the perks all year long. Korean Air offers discounts through its Excellent Boarding Pass program, which offers those entering South Korea anything from free drinks and seasonal entrees at upscale eateries to discounts on movie tickets, cell phones, limousine transfers, and car rentals within seven days of your departure. Travelers who can present their boarding pass also get discounts off of popular attractions, including 30 percent off entry to the restored 1890s Jeju Folk Village and Lotte World. For those departing South Korea, the Excellent Boarding Pass Worldwide Pass program offers savings at shopping outlets, mobile Wi-Fi routers, and attractions like the Singapore Zoo, and the Madame Tussauds wax museum in Sydney within 10 to 20 days of a departure date. Asiana Airlines fliers who present their pass within seven days of boarding can get up to half off entry to South Korea’s museums, banks, city bus tours, and attractions. You’ll also get discounts on concerts, airport limousine transfers, and perks like free drinks and free dining for a guest at a variety of participating restaurants across the country. Overseas travelers flying with the airline will find savings on restaurants, airport lounges, car rentals, and attractions in cities like Tokyo, Osaka, and San Diego, California. Thrill seekers will enjoy Air Asia’s boarding pass discounts, which include bungee jumping off the Macau Tower and reduced entry to attractions in Hong Kong, Indonesia, Malaysia, Korea, and Japan. Just present your Air Asia boarding pass seven days before your departure or seven days after your arrival to quality. Alaska Airlines’s Wine Flies Free Program allows travelers to enjoy a complimentary wine tasting in Washington and Oregon as well as check a case of wine free of charge in participating California, Idaho, Oregon, and Washington airports. The airline also offers free skiing options, from sport package rentals to group lessons discounts, at 12 resorts when you show your boarding pass. Alaska Airlines isn’t the only airline you can score free skiing with. Some ski resorts, like Squaw Valley, let travelers ski for free when they present the boarding pass of any commercial airline that flies to the destination, including Delta, Frontier, Southwest Airlines, American, Alaska, United Airlines, Allegiant Air, and JetBlue. Meanwhile, those headed to Colorado’s Steamboat Resort can grab free night skiing when they present an American Airlines, Via Air, or Alaska Airlines boarding pass.